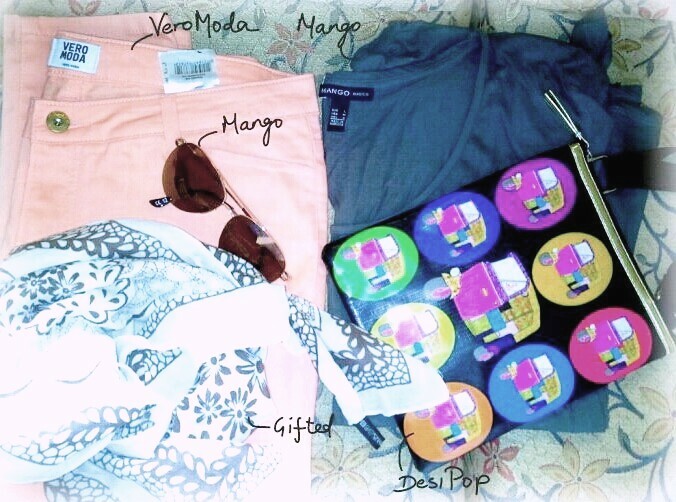 M addiction in question is this fabulous online store catering exclusively for women with all sorts of in trend tops, bottoms, dresses, anything & everything..plus great great great footwear and bags and accessories! I’m literally too spoiled for choice! I’m hopelessly obsessed with glittery accents on shoes. 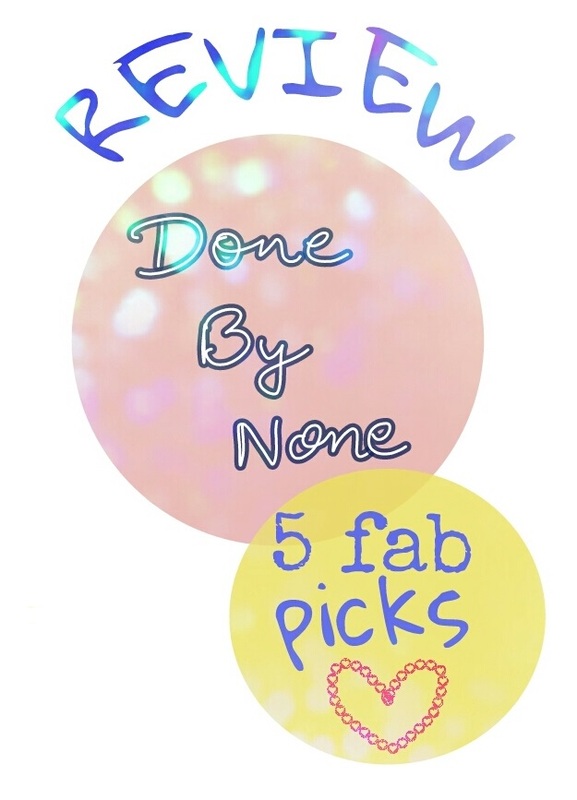 I was always on the hunt for great pairs of flats or heels with glitter dusting! I found one pair online from Aldo’s but fricking 5 grands for that? No way! 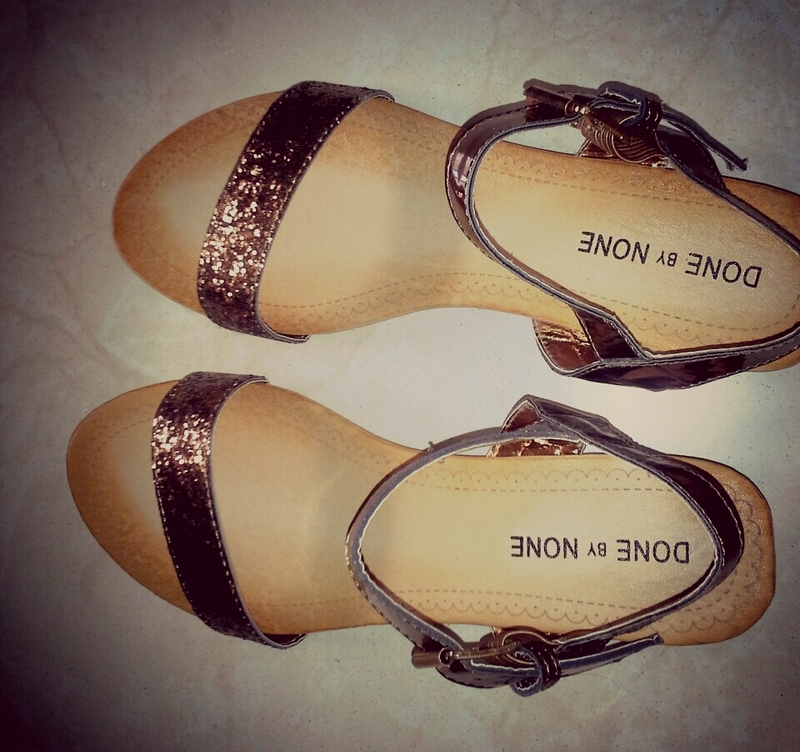 That’s when I came across donebynone.com by chance & when browsing through their shoes I found glitter flats!!! Can you imagine my joy?? Unbelievable! Next up, I wanted a great bag for work that’s both trendy & functional. 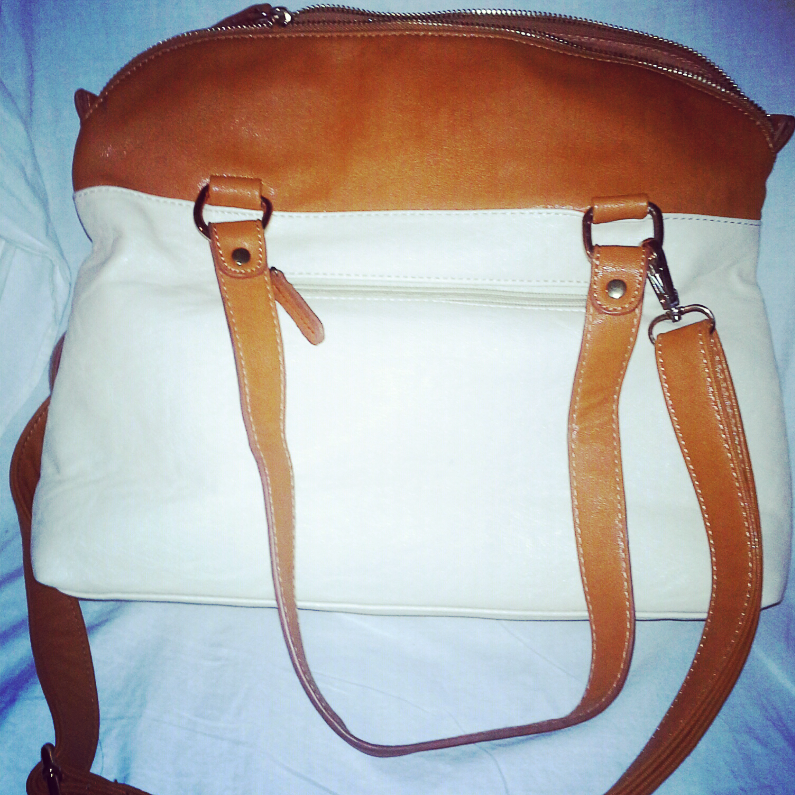 I came across this tote in tan and cream with metal fastenings and zippers. Looked super chic with both shoulder straps and sling. Spacious too. Making of an outfit : I love how these people come up with such co-ordinated bags, shoes and dresses that end up making an awesome outfit when put together! 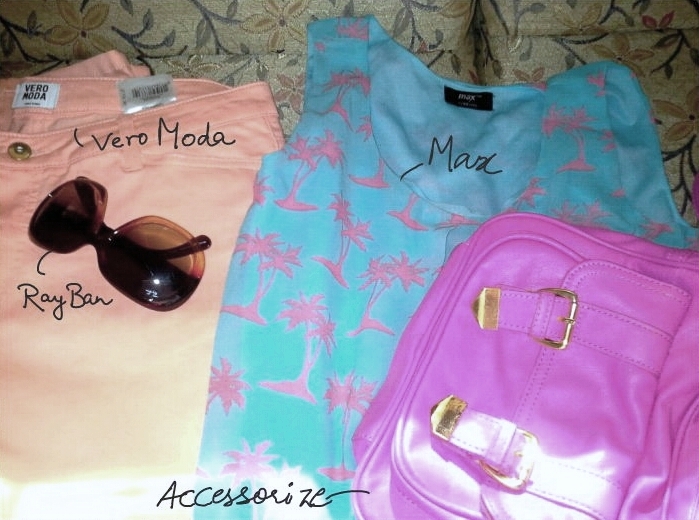 The neon whoosh satchel (I think) : Rs. 1499 but I bought it at Rs.1249 using a 250 off coupon. Love it. Period. 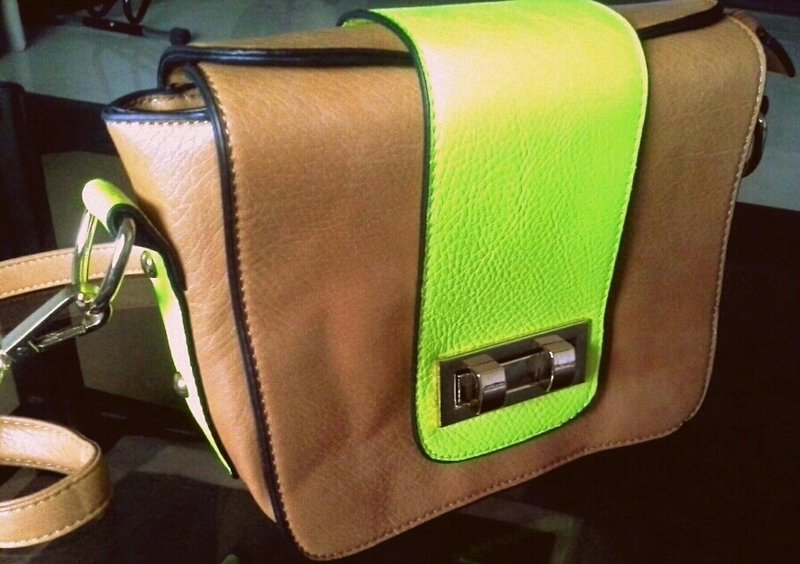 Tan satchel with a neon yellow strip to act as a closure for the bag. It conceals the zipper and has these amazing old time twist to lock, untwist to open fasteners. 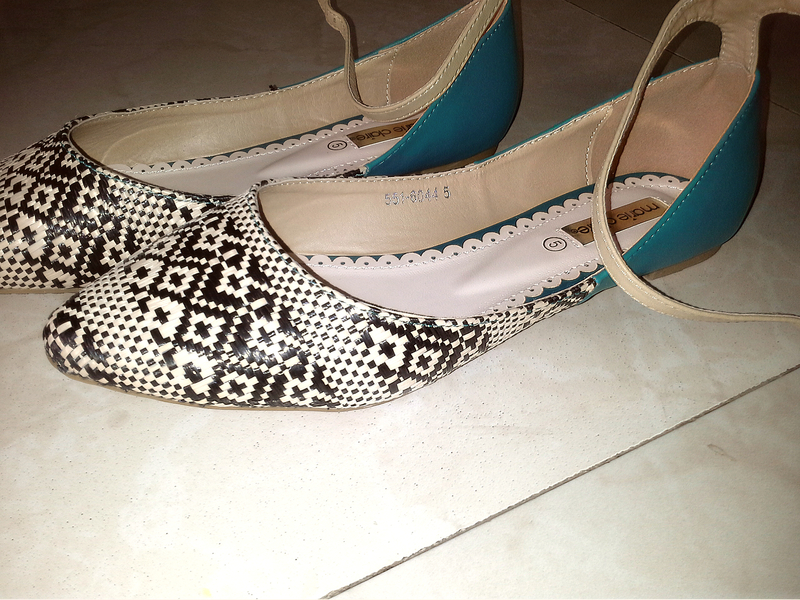 Athena’s Neon Flame flats : Rs. 1299. 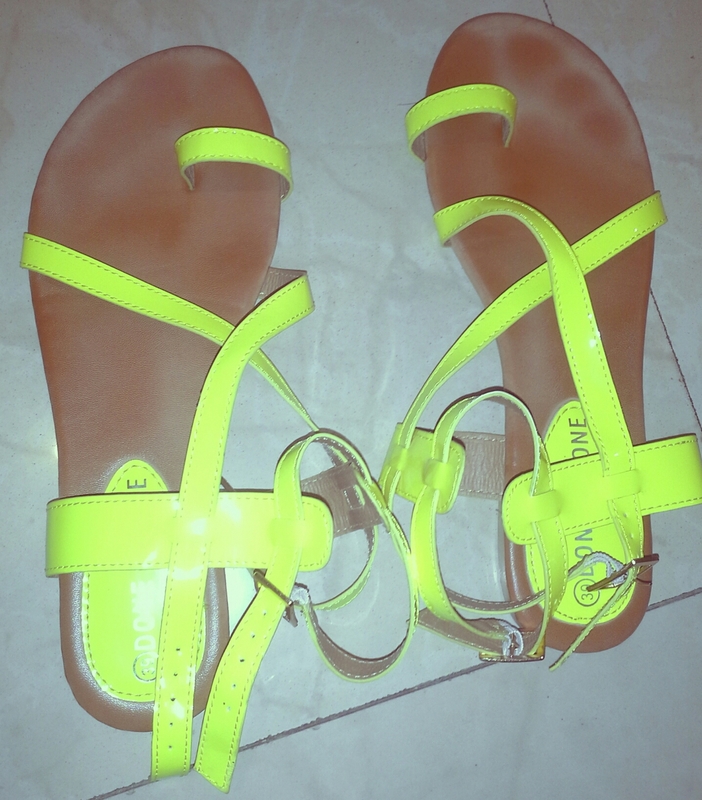 I bought for Rs.1049 on 250 off woot! Super flaming, eh? 😉 I wanted to but this pair to wear it when I’m carrying the neon satchel! 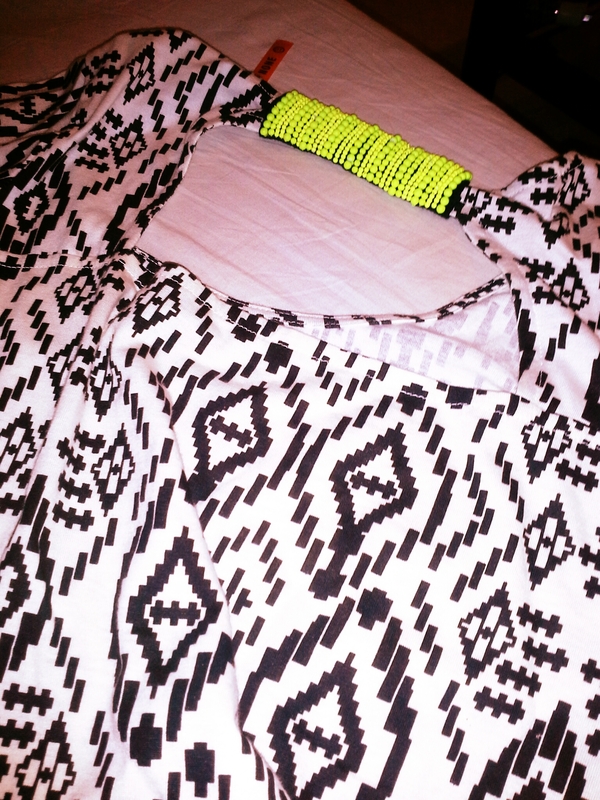 A fabulous monochrome, tribal printed top with a cutout back with a neon beaded strip connecting the ends (sorry I forgot the name!! and it’s not available online now, maybe out of stock!) 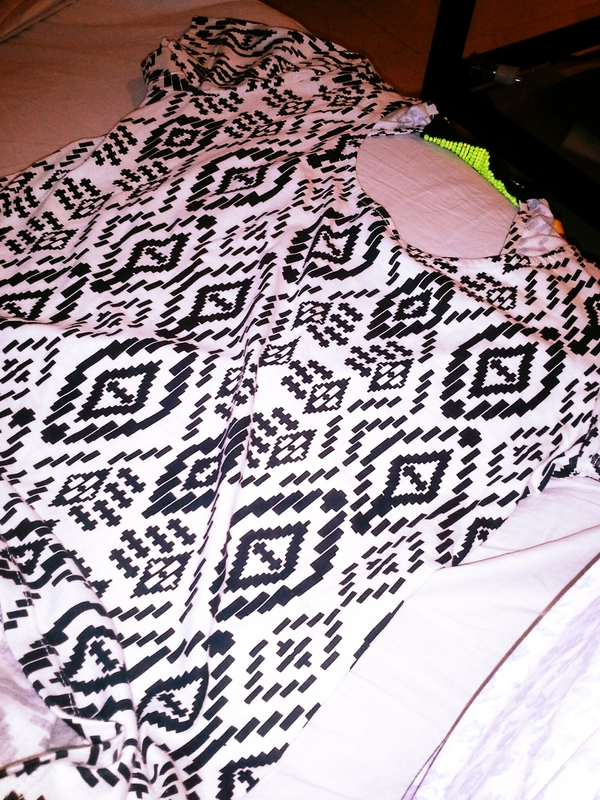 : Rs 699 but again I got it for Rs. 549 on 250 off..yawn..
Great thing about this site : affordable, great quality,great variety, keeping in tune with the latest trends(inspired! ), delivery within 2 days , anti-leather : all bags and shoes are PU and such materials,fabulous size and fit range, quick response to issues and queries. Not so good : I had to unfortunately give up on a fabulous patent PU pair of color blocked heels due to a wrong size and the reverse pick up, although quickly initiated, took close to 10 days to happen and when it did, the size I requested was not sent as it had failed quality checks..Not really their fault, more of the courier service’s..but felt it could be included..